To help encourage your little ones to get outside and enjoy some fresh air, we are offering you the chance to win your very own garden slide in our brand new Spring Competition. The Big Game Hunters 2.3m wavy water slide is perfect for any garden – even if you are short on space. The slide is made from a chunky UV stable plastic which makes it extremely hard wearing. The colour will not fade in the sun nor crack in the winter. 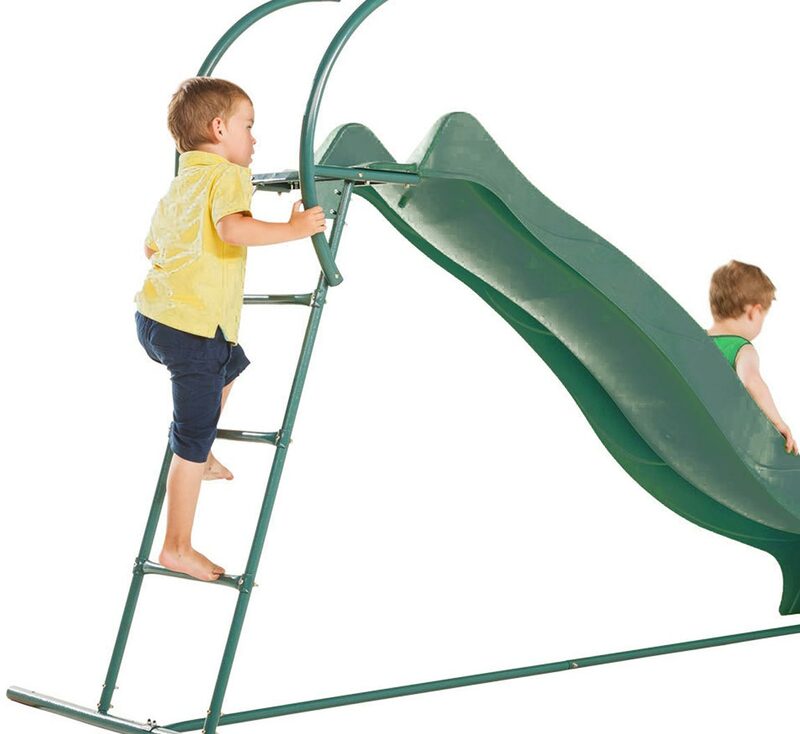 The moulded plastic is extremely smooth giving your children a speedy glide down the slide. The slide comes with a step set which means it is freestanding so you can put it anywhere in your garden. The slide can even be made into a water slide during the summer using the hose nozzle attachment on the underside of the slide. Get active and get outdoors! Take a photograph (or photographs) of your child/children or whole family enjoying some outdoor activity. This could be as simple as going for a bike ride, having a game of hopscotch on the patio or making a den. You could even include more adventurous outdoor pursuits such as horse riding, sailing, abseiling….whatever your hobbies may be! Make a comment on the picture just to explain what it is…. We can only deliver the prizes within Mainland England, Wales and Southern Scotland – we do not want to exclude anyone else from entering but if you want the items delivered elsewhere, please check our delivery page first for the areas that incur surcharges. We will judge the winner on quality of the picture, creativity and sheer enthusiasm! The more active the better! The age of the children shall be taken into consideration and there will no advantage to those partaking in expensive activities.